CAT Aspirants - Good News!!! The dates of CAT 2011 voucher sale and registration are extended. All other terms and conditions will remain the same as per CAT 2011 advertisement released on August 07, 2011 on major Indian newspapers. Dates for CAT 2011 remain the same i.e. between October 22, 2011 to November 18, 2011. 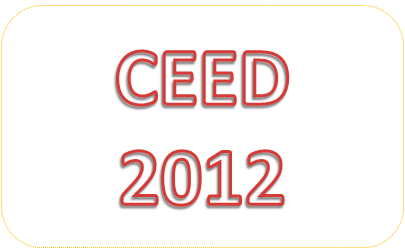 Common Entrance Examination for Design (CEED) is an all India examination conducted by the Indian Institute of Technology Bombay (IIT Bombay), on behalf of the Ministry of Human Resources Development, Government of India.The objective of CEED is to assess the candidate’s aptitude for design, involving visual perception ability, drawing skills, logical reasoning, creativity, and communication skills. (*GATE qualified candidates will also be considered for admission to these program). Details may be obtained from respective web sites. 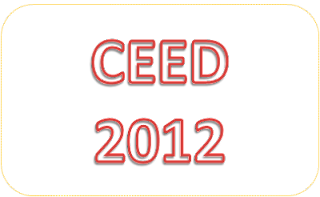 CEED Application Form must be submitted online, through the website www.iitb.ac.in/gate. The application fee (non refundable) is Rs. 950/- (Rs. 475/- for SC/ST/PD Applicants). A Common Written Examination (CWE) will be conducted by the Institute of Banking Personnel Selection (IBPS) as a pre-requisite for selection of personnel for Clerical cadre posts in the 19 Public Sector Banks. Any individual who aspires to join any of the above Public Sector Banks as a Clerk or in a post in that cadre, will necessarily be required to take the CWE. The above tests except the Test of English Language will be printed bilingually, i.e. Visit http://www.ibps.in for eligibility, registration and exam details. MBA Aspirants - Bell the CAT !! !